Here's another shot from my grandparents' house/farm. They have lived at their current residence for 40 years and the staple, 140 year old tree that has provided amazing shade in the front yard came tumbling down during a recent brief yet powerful storm. 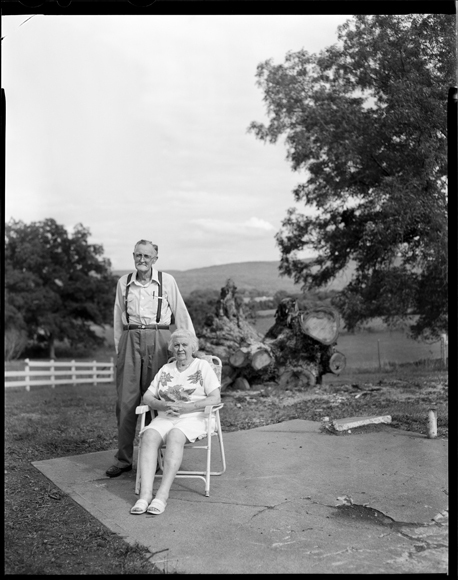 This is a shot of my grandparents in front of the remaining stump. If you look at the fence you can see where part has been replaced from this beast falling on it (on the left).